The following manifesto is built upon strongly defined New Testament core values that were powerfully modeled and taught in the life and ministry of Jesus. These two core values of ever deepening love for God and ever deepening love for one another set the agenda for the heart journey of the follower of Jesus. Our spiritual growth is measured by our growth in love. The Heart Revolution is therefore a love revolution. This glorious love revolution that Jesus pioneered calls upon every disciple to adopt the same non-negotiable core values of love for God and love for one another and to fight to establish these values within our hearts. 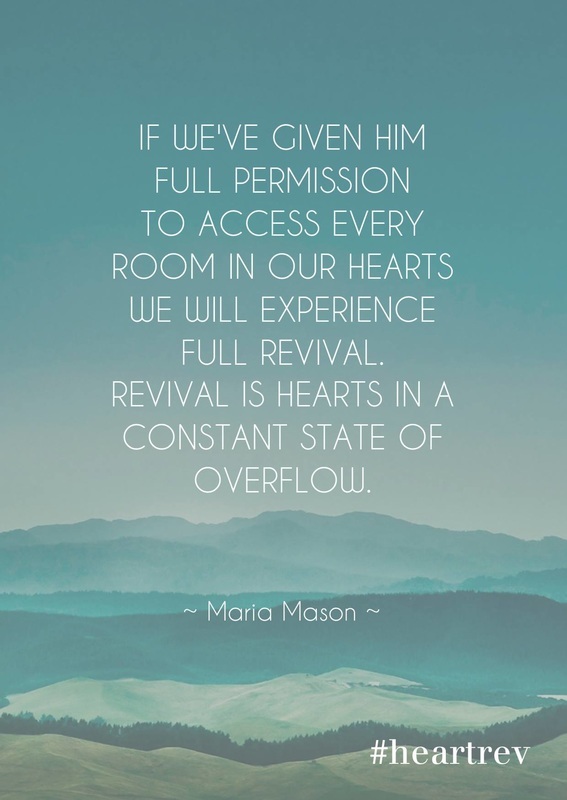 This love is powerfully transformational. There is a set of clearly defined biblical presuppositions that these two primary core values are built upon. If we are to fulfill our destiny to be great lovers of God and of one another this sub-set of undergirding values need to be adopted in our hearts in order to enter into the fullness of our divine destiny as sons and daughters. All of these biblical presuppositions create a strong foundation upon which the call to love God and one another is built. God is a relational being who values our hearts and deeply desires to establish a relational connection with us. He is looking for open hearts to pour His love into. Jesus is the ultimate apostolic heart prophet who calls us to a full-scale heart revolution by adopting His core value of becoming a people who truly value hearts. The Father loves us and values our hearts so much that He sent Jesus to reach deep into our hearts with His healing and transformational love. He is teaching us how to live with a truly open heart. To receive Jesus’ ministry of heaven invading earth we must learn how to open our hearts wide to the Father and become a people who truly live from the heart. Jesus gives us a brand new heart and a brand new spirit and this new creation miracle is the foundation and cornerstone of the heart revolution. Jesus calls all of His followers to become heart prophets who embody the heart revolution message and who call others to embrace this glorious revolution. The heart revolution is focused upon healing the brokenhearted and the transformation of the heart from the heart of an orphan to the heart of a son. Heart prophets value their own hearts enough to invest into the healing of their own heart. Jesus said we are to love others as we love ourselves. Healthy self-love that results in the healing of our own heart becomes the foundation for truly loving and valuing others. Heart prophets value other people’s hearts just as Jesus values our hearts. Authentic love places the ultimate value on our own heart and the hearts of others. This is what love looks like. If we really value people’s hearts we will join the fight for other people’s hearts and fight to build strong heart connections of love, honour and trust. If we value people’s hearts we will embrace Jesus’ ministry of healing the brokenhearted and fight for people’s deliverance and the healing of their hearts. 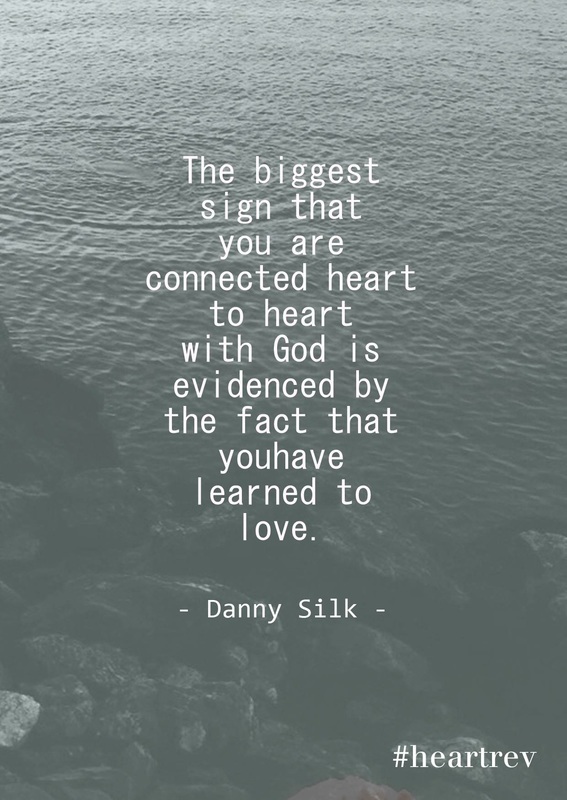 A heart connection is a deep bond of relational trust and love that we have to fight to establish and to then fight to maintain in all of our relationships. Heart connections are established in the context of family, therefore heart prophets must fight to build communities that value a culture of love and trust. The family/community paradigm is the cultural context in which we receive the Spirit of adoption ministered by the Holy Spirit but mediated through family. Building worshipping communities that powerfully express adoptive love and care for every heart ought to be our highest priority here on earth. Communities that can faithfully express the adoptive love of the Father become the matrix of mature sonship. Mature sons become missional by nature because they are energized by the Spirit of adoption. The Father is bringing many sons to glory but we only come to the glory of full maturity in the context of a spiritual family where love and trust is fostered. God’s answer to every human problem is to send a son. Sending an orphan will not do. God’s agenda is always to send beloved sons into the crisis. The family of God becomes the matrix of the supernatural as beloved sons arise, empowered by the Father’s love to heal hearts, bodies and minds. The radical apostolic Christianity of Paul and John expresses the fullness of Jesus’ mission to bring many sons to glory and to send forth these beloved sons of the kingdom into the world to transform the world through the Father’s love. God’s glory rests on hearts that are pressing into deeper heart connection. This is the essence of Jesus’ prayer in John 17. He is pouring out His glory upon our hearts and drawing us into supernatural oneness with the Father so that the world may believe and know that the Father has sent His Son into the world. These 22 sub-values undergird the fundamental call to truly love God and one another with all our heart. This revolution has to begin with the leaders of the church. Church leaders who struggle to embrace these New Testament principles of supernatural heart transformation will inevitably find themselves on the wrong side of church history. History will judge them as having fallen short of embracing the fullness of the prophetic call upon their own hearts as leaders because they chose to live from their heads instead of from their hearts. At some point along the journey of being called to progressively embrace these New Testament apostolic core values their hearts have failed and they have lost their authority to speak prophetically to the church as true heart prophets. Church leaders who have failed to value the hearts of their people with the Father's love need to hear again the heart revolution message. Where church leaders stand in relation to adopting the full New Testament message of living from the heart and of valuing hearts will determine which side of church history they will stand on. There are two kinds of leaders and two kinds of churches: those who value and heal hearts and those who don’t. The Father evaluates leaders on whether or not they have valued hearts enough to heal the broken hearts of His people. (Ezekiel 34:4) The Holy Spirit has always been at work throughout the history of the church to get all of the Father's sons and daughters on page with His glorious heart revolution.